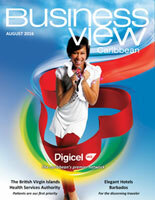 Business View Caribbean profiles Digicel – BVI, a provider of communications technologies, in Road Town, Tortola, BVI. Digicel is a complete communications provider that offers its customers affordable and innovative mobile phone services, enterprise solutions, cloud computing, cable TV, broadband, and content. The company operates in 33 markets across the Caribbean, Central America, and Oceania regions, including: Anguilla, Antigua and Barbuda, Aruba, Barbados, Bermuda, Bonaire, the British Virgin Islands, the Cayman Islands, Curaçao, Dominica, El Salvador, Fiji, French Guiana, Grenada, Guadeloupe, Montserrat, Guyana, Haiti, Jamaica, Martinique, Nauru, Panama, Papua New Guinea, Samoa, Saint Kitts and Nevis, Saint Lucia, Saint Vincent and the Grenadines, Suriname, Tonga, Trinidad & Tobago, Turks and Caicos, and Vanuatu. 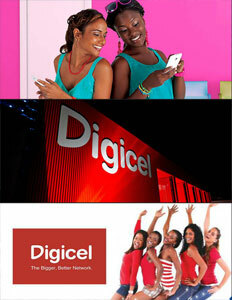 Worldwide, Digicel has over 14 million users, 6,000 employees, and over 1,000 retail outlets. Digicel first launched its Caribbean services in Jamaica in April 2001, when that country opened its phone market up for competition against Cable & Wireless, the large British company and longtime provider of telecommunications services in the Caribbean. Digicel’s owner is Denis O’Brien, who had founded the Esat Telecom Group in 1991, to compete against the former state-owned telephone company in Ireland. Esat established itself as the number two telecommunications company across the full spectrum of telecommunications services (corporate and residential), fixed-line, GSM mobile, data and internet services, and brought real competition and choice to the Irish telecommunications market. In order to attract customers in Jamaica, Digicel offered prices less than half of what Cable & Wireless was charging. It also slashed prices on handsets, then averaging $200, or even gave them away. It also extended its network to the country’s less-populated mountains, beaches, and other remote areas. Its cell towers were disguised as palm trees in order to blend in with the local scenery, and, even more unusual, every time Digicel turned on a new cell phone site, it threw a party that typically included live reggae music, barbecue, and plenty of freebies. Within 100 days of starting service in Jamaica, Digicel had 100,000 subscribers. Eleven months later, it passed Cable & Wireless to become the island’s No. 1 cell phone provider. Today, more than 82 percent of Jamaica’s market of 2.7 million residents use cell phone services, up from four percent in 2001; 70 percent of those users are Digicel subscribers. In November 2008, Digicel launched in the British Virgin Islands. The Company has two stores on Tortola, and one on Virgin Gorda. They sell a variety of basic and smart phones, and offer both pre-paid and post-paid plans and services. In 2013, Digicel BVI began offering its “Roam Like You’re Home” program, ensuring that its customers can use their mobile phones for calling, texting, and browsing the internet, while roaming, without incurring higher costs. With “Roam Like Your Home,” Digicel cell phone users save 97 percent when in the U.S. Virgin Islands, the U.S.A., Canada, Puerto Rico, and other Digicel Caribbean and Central American countries. Also in 2013, Digicel BVI unveiled its business solutions arm, Digicel Business, with a suite of tailored solutions for companies of all sizes across the country – including the very latest in cloud technologies, disaster recovery, and dedicated internet access solutions, among others. Cloud portfolio services include Digicel’s “Desktop as a Service”, a scalable service that allows clients to use a cloud-hosted desktop environment to deliver business applications, including Microsoft Office, across multiple devices; and Digicel’s “Mobile Device Management” which enables secure access to any business application, using any device. In addition to the Cloud services, Digicel Business has partnered with BVI company, Fresh Mango, to offer a competitive suite of back-up and disaster recovery services providing fully resilient, world-class back up and disaster recovery solutions, on-island. To date, Digicel has invested over $28 million in the BVI to ensure that its customers always have access to the latest communication technologies. Digicel also runs a host of community-based initiatives across its markets and has set up Digicel Foundations in Haiti, Jamaica, Papua New Guinea, and Trinidad and Tobago which focus on educational, cultural, and social development programs. In the British Virgin Islands, Digicel has sponsored many sports, education, social, and cultural events, over the years. In 2014, the company sponsored the Digicel Centre of Excellence, a two-year program in partnership with the BVI Football Association to coach and develop talented children in football (soccer). This past May, Robert C. Mayo-Smith was named the new CEO of Digicel BVI. Previously, Mayo-Smith served as CEO of Digicel in Antigua and Barbuda, and Montserrat. His main duties are to lead the Digicel team, develop strategy for the BVI market, and be the guardian of Digicel’s brand and public image to consumers, government, and other stakeholders in the wider BVI business community. Check out this handpicked feature on Cargo Express Services Limited in the Turks & Caicos.